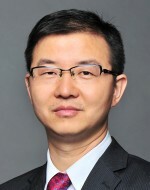 The classical photoconductor gain theory is challenged with newly-discovered mistakes, according to an ACS Photonics paper on research finding of Professor Yaping Dan and his research team at the University of Michigan –Shanghai Jiao Tong University Joint Institute (UM-SJTU JI). The paper entitled “A photoconductor intrinsically has no gain” was published by the US-based scientific journal recently. The classical photoconductor gain theory has been written in the standard semiconductor physics textbooks and widely accepted by the science community since 1950s. Photocurrent will saturate as the electric field intensity increases when the semiconductor-metal boundary condition is considered. It was observed in experiments that a photoconductor would have an extraordinarily high photo gain. The gain sometimes is as high as 8 orders of magnitude, in particular for nanoscale or atomic scale devices. The classical gain theory states that a photoconductor intrinsically will have an extraordinarily high gain if the device is made short enough and the minority carrier lifetime is sufficiently long. In 1980s, Japanese scientist Nozomu Matsuo and coworkers found that the gain predicted by the classical theory was smaller than the gain measured in experiments by 3-4 orders of magnitude. In the following decades, other scientists also found that the classical theory was problematic. But no one ever pointed out what was wrong with the classical theory and what would be the correct theory. In this recent publication, Professor Dan and his team not only pointed out what is wrong with the classical gain theory (2 assumptions are invalid), but also strictly derived the correct gain theory following Ohm’s Law. The research by the JI team found that a perfect photoconductor has no gain or at least no high gain. This research work will rewrite the related sections in the classical textbooks on semiconductor physics and devices. The ACS Photonics Editor and 6 reviewers finally made a decision to accept the manuscript for publication after carefully reviewing the manuscript for six months. Professor Yaping Dan is the first author and corresponding author of the paper. Xingyan Zhao, a PhD graduate, Kaixiang Chen, a PhD student and Professor Abdelmadjid Mesli from the University of Marseille, France are the coauthors. This research work was supported by National Natural Science Foundation of China (NSFC 61376001 and 61874072). Yaping Dan is an Associate Professor of electrical engineering at the UM-SJTU Joint Institute. He received his bachelor’s degree in electrical engineering from Xi’an Jiaotong University in 1999, master’s degree in microelectronics from Tsinghua University in 2002, and doctoral degree in electrical engineering from the University of Pennsylvania in 2008. Before he joined the Joint Institute, he was a postdoctoral fellow and then research associate at Harvard University. He won the postdoctoral fellowship award from the US National Academies in 2009. He served as the editorial board member of Scientific Reports since 2016 and an adjunct professor at Xi’an Jiaotong University since 2017.